The Results You Want With A Plan That is Built For You!
" It's awesome! Training at Movement has given me more confidence in my fitness and a super supportive environment. I've never been that ambitious with my personal fitness, I've taken classes but never really taken initiative or believed that I was capable of more. 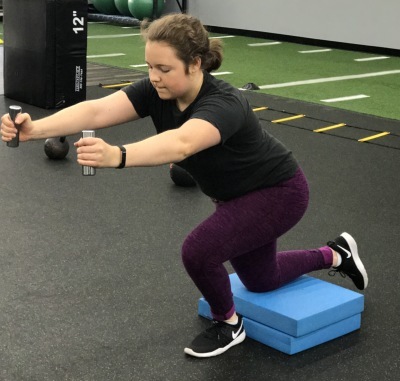 With the plans that are specific to me, I feel like I'm in control of my fitness now and have a plan for moving forward instead of doing the same classes/exercises over and over again." Need a new plan to get the results you want? 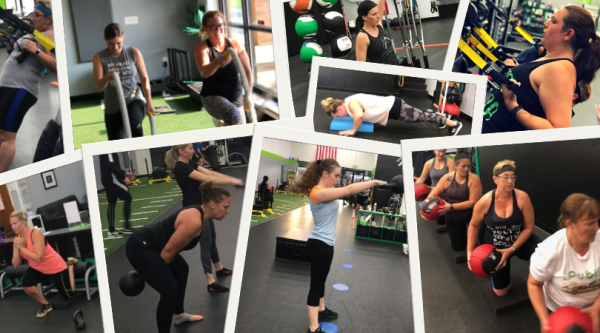 Check out a glimpse of our Adult Custom Training to see how we can help you achieve your goals! Whether your goal is weight loss, recovering from injury or simply to get in great shape; our Custom Training Program is just for you. We tailor a program to the needs of each individual. Our programs are built specific to your needs, goals and abilities. Then, our certified coaches lead you through your program each session to make sure that you get the most out of your plan. You have the freedom to book your sessions through our online calendar so you can train according to your schedule. Each session is allows a small group of members to train so that you are able to work your plan in a community of people that are pursuing their goals as well. This allows you to reach your goals efficiently, while also reducing the cost of a typical personal trainer. Our Personal Training is designed to give you the right plan along with the time and attention you need to maximize each of your training sessions on your way to achieving significant results. 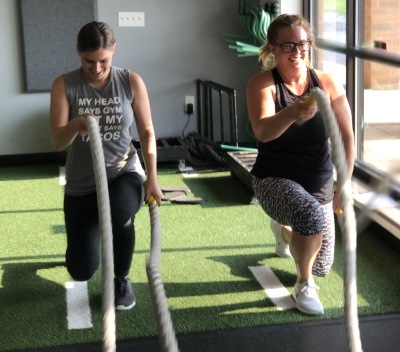 Whether you are coming off of physical therapy, need to lose weight or want to stay healthy to play with your kids or grandkids, Movement Personal Training is right for you. We are meticulous, providing you with the coaching and support you need to keep you on track and heading towards your personal goals.